Polson Motor Company specialises in the sale of sports, competition and touring cars of the highest quality, sharing the same site in leafy rural Suffolk on which the Polson family’s car restoration firm I.S. Polson (see link here to their sister website- ispolson.com) has operated for over 40 years. Located in a purpose-built 2000 square foot showroom, we offer both buyers and sellers a unique platform on which to buy and sell cars of the highest quality on the international market. Our business is built on the premise that we share our customers’ passion for motor cars; their ownership should be enjoyable and the use of them exciting and sociable. As such we approach every aspect of the process of buying and selling cars with utmost professionalism and the strictest attention to detail. Having an intimate knowledge of the collectors car world we can ensure that your car is marketed to a global audience and the best possible result is achieved for all involved. At the same time, we understand that long term relationships based on a shared passion for motoring and a desire to find the best possible example of the car required are what leads to a mutually successful and enjoyable outcome. We have a fully equipped restoration facility on site and can assist sellers in ensuring their cars are well prepared for sale and facilitate any mechanical upgrading or servicing new purchasers may require on their new acquisition. We also prepare cars for races and rallies. We understand that buyers new to the market may require honest confidential advice on how to navigate the collectors car world including identifying sub-standard restorations and cars with dubious provenance. As such we are happy to assist with all aspects of the collectors car world from purchasing at auction to selecting the most suitable car for a given use. Since having run cars in the world’s leading historic races and rallies for many years we are able to advise which cars are best suited to these events and the best way to go about acquiring and enjoying them. John Polson has grown up in the world of old cars and motoring, spending time in the workshop of his mother and father's car restoration business and attending old-car races and rallies ever since he can remember. He joined leading international auctioneers, Bonhams, straight from university in 2006, working first as a Senior Specialist in the Automobilia Department and then transferring to the Motor Car Department as Specialist and then Senior Specialist. In this capacity he has coordinated successful sales at Goodwood Revival, Goodwood Members Meeting and London Olympia, personally securing many strong results spanning a huge variety of cars. They include the Hartley family collection of historically important Maserati cars, numerous important Aston Martins including the ex-Works Ulster 'LM19' and ex-Works DB2 'UMC 65' and the ex-Works Talbot 'BGH 23'. As part of his work with Bonhams, John was lucky enough to travel worldwide meeting leading car collectors, attending many international motor car events and developing a deep understanding of the collectors car world. John has a particular interest in vehicles dating from the pre-1940 period, but an appreciation of fine cars from all eras. He has competed in historic racing and rallying at both National and International level since 2006. 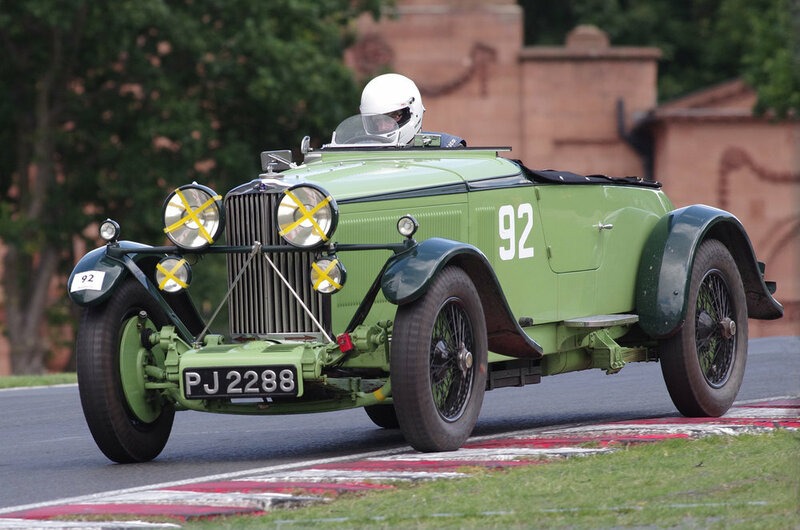 These events have included the Le Mans Classic, the Flying Scotsman Rally, Goodwood Revival and Members' Meeting, in cars such as Talbot AV105, Delahaye 135CS, Sunbeam Coupe de l’Auto, Indianapolis Hudson, Talbot 90 and Riley TT Sprite. A keen member of the Veteran Car Club of Great Britain and the Vintage Sports Car Club, he is also a great believer in running old cars on the road; participating in road rallies as far afield as Switzerland and Italy as well as taking the cars on holiday with his family. John is currently building a replica of the 1931 works Talbot 105 Single-Seater Brooklands racing car which he is hoping to complete next year.